Joy is a Licensed Massage Therapist, Certified Holistic Health Coach, and Reiki Master. All aspects of her work involve helping people gain a better internal awareness of their well-being on the physical, mental/emotional, and spiritual levels. This awareness can lead to better self-care, more balanced living, and a strong sense of wanting to live purposefully by expressing ones natural gifts. Joy recognizes that there is a tendency to rely on physical vision and the analytical mind to determine what is best in any situation or capacity. 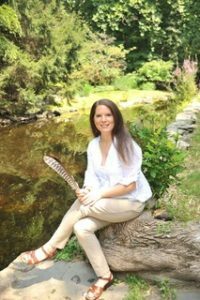 In her work as a holistic health and healing coach she guides a client to “listen” to the body on different levels; to interpret what the body is expressing; and, learn alternative choices that serve the greatest good for the client as well as the lives of others that are touched or influenced.